Our mission is to empower older adults to remian independent in their own homes. We develop, manage, and integrate innovative programs that build community through time exchange. Partners In Care is a credit exchange program designed to create community by linking older adults and with neighbors who volunteer their time to provide transportation, handyman services, and other errands. Participants may provide services, receive services, or both. Ride Partners provides mileage reimbursement to volunteer drivers. 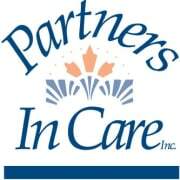 Partners In Care accepts donations. Donate Now. Would you recommend Partners In Care? The people that work here are so kind and the customers and donaters who come in are lovely! I'm looking forward to going back!